How often have you heard the following advice for a financial roadmap? but not a roadmap to wealth. There’s a growing trend among individuals and high-net-worth investors (“HNWIs”) to throw off traditional advice in search of better returns and wealth. And that trend is involving less and less allocations to public equities and other Wall Street offerings and more and more allocations to a rising investment class. Investors, tired of the usual mix of bonds, mutual funds, and ETFs, are seeking out options with better returns but without the added risk. These investors and HNWIs are discovering alternative investments to replace the public markets. Institutional investors, like university endowments, have long included alternatives; including real estate, public equities, and commodities, in healthy proportions to achieve above-market returns. Alternative assets are uncorrelated to the stock market, offer diversification and potentially higher returns when compared to mutual funds, stocks, and bonds. 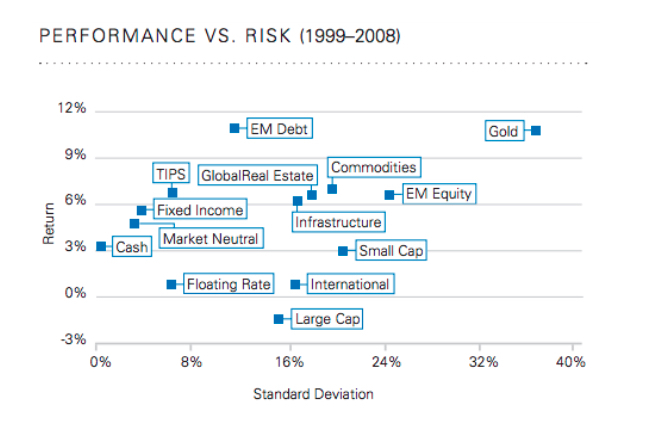 In fact, alternatives have historically provided higher returns at lower risk. investments to this investment class? The disparity of investment preference between institutional investors and individuals is stark where institutional investors allocate 66% to equities while institutions allocate a majority (53%) to assets. Where alternative assets have traditionally had higher minimum investments, access can be partially responsible for the barrier to individuals to investing alternatives. Education may also explain the disparity. Individuals may not know about alternative investments and the options available to them. The first thing individuals need to know about alternative investments is what they are an alternative to, and the simple answer is Wall Street, specifically public equities such as stock, mutual funds, and ETFs. In more technical terms, an alternative investment is one that is not publicly-traded, usually non-liquid and typically not priced daily. Real estate has a low correlation with other asset classes and is often recession-proof, so when the stock market is down, real estate continues to thrive, making it a valuable diversification tool. Commodities have low or negative correlation to traditional equity markets, so when markets are volatile or down, commodities can provide stability. Investors can trade commodity futures or use a managed futures fund. Private equities resemble hedge funds but are invested in private companies instead of public equities. Often these investments are in new companies with the potential for growth. Instead of relying on a private equity fund to handle investments in a mix of private companies, individuals may make direct investments in these companies through equity or debt investments offering one of a combination of income and/or growth. A hedge fund is a private pool of capital that can be used to buy and sell a variety of assets. Although they resemble mutual funds, hedge funds are not regulated in the same manner and are limited to accredited and sophisticated investors, such as institutions and individuals with significant assets. Marketplace lending matches investors with borrowers via online platforms. It can include various types of loans including consumer, small business and real estate. Crowdfunding pools money from individuals to fund new business ventures. It can be debt-based or equity-based. By pooling money, crowdfunding platforms allow individuals to invest at a lower entry point than typical private equity or debt deals. The benefits of alternative assets are myriad, and for those investors thirsting for better returns than what the public markets can offer, alternative assets fill that void admirably. Although once the province of institutional investors and well-connected high net worth individuals, alternative investments are now more accessible to the regular investor than ever before thanks to recent regulatory changes. As the barriers to access come down, individuals can now take advantage of this investment class that has long provided above-market returns and shelter from Wall Street volatility by first educating themselves on the different types of alternative assets available and then taking advantage of these opportunities by taking the plunge. Throw off the chains of Wall Street and stop settling for a comfortable retirement and strive for real wealth through alternative investments.